If you’re in the neighbourhood of Sagrada Familia, you should take a break before or after visiting Gaudí’s monument and enjoy some local cannabis and extracts. Kyo Association is the perfect place for it, open in the first day of this year , has great prices and a lot of potential. You can find the club five minutes away from metro, near Sagrada Familia. There are many restaurants nearby to delect before and/or after the visit. When you enter the peaceful and relaxing atmosphere will quickly make you feel like home. The name of the Cannabis Club Kio comes from Buddhism and the Lotus Flower so inside you will find different elements that go in that direction. 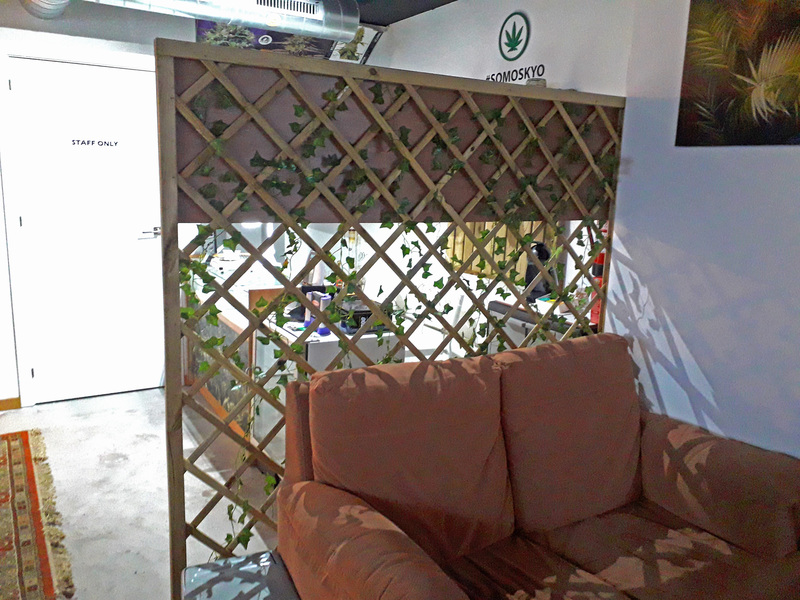 The atmosphere is fresh with plants, hammocks, couches, tables, heaters, green jungle-ish decorations, TV and PlayStation. The bar is small but filled with everything required from a great dispensary for all types of people at very reasonable prices. Every time I was there all lights were on. The walls are painted in light blue combined with some nice red from bricks. They give a nice feeling. The music has great variations from chill raggae like Damian Marley to renown DJs. The people there are a mix of friendly locals and nice tourists. The staff is nice and helpful. The place is kept clean. The internet has the same speed like in most clubs. You have to check this club as for sure is not one of the tourist traps laid in Barcelona.